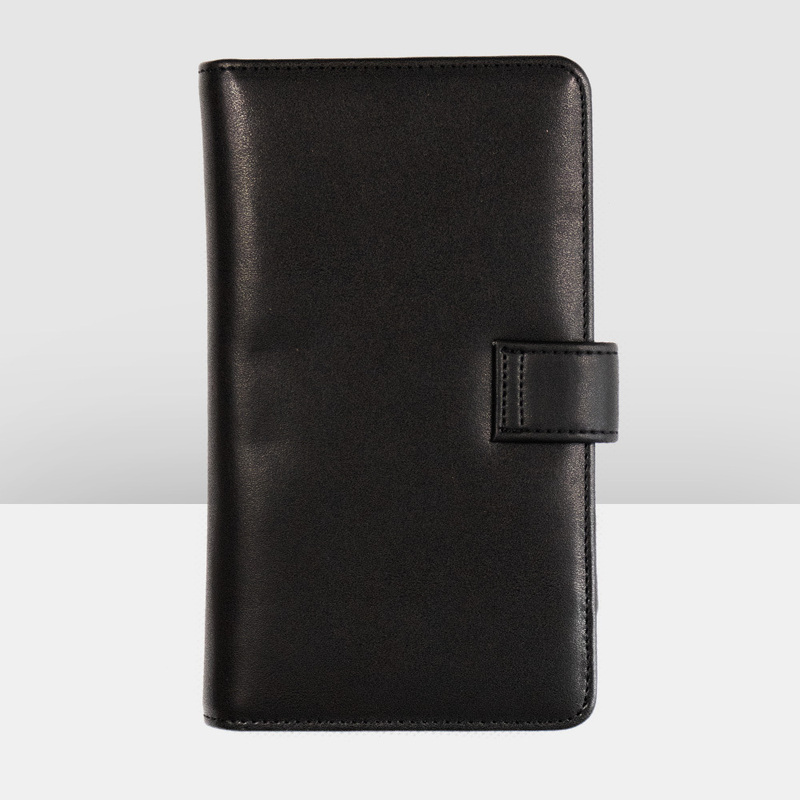 Being organised while you travel is essential to enjoying an easy and effortless trip. 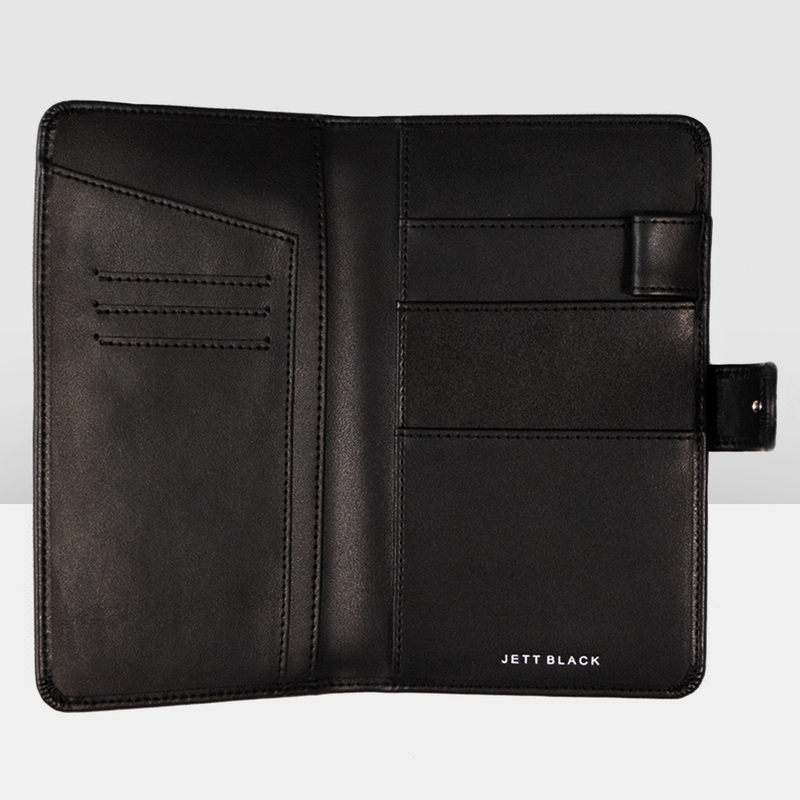 The Jett Black compact leather travel wallet is ideal for taking on flights whether domestic or overseas. 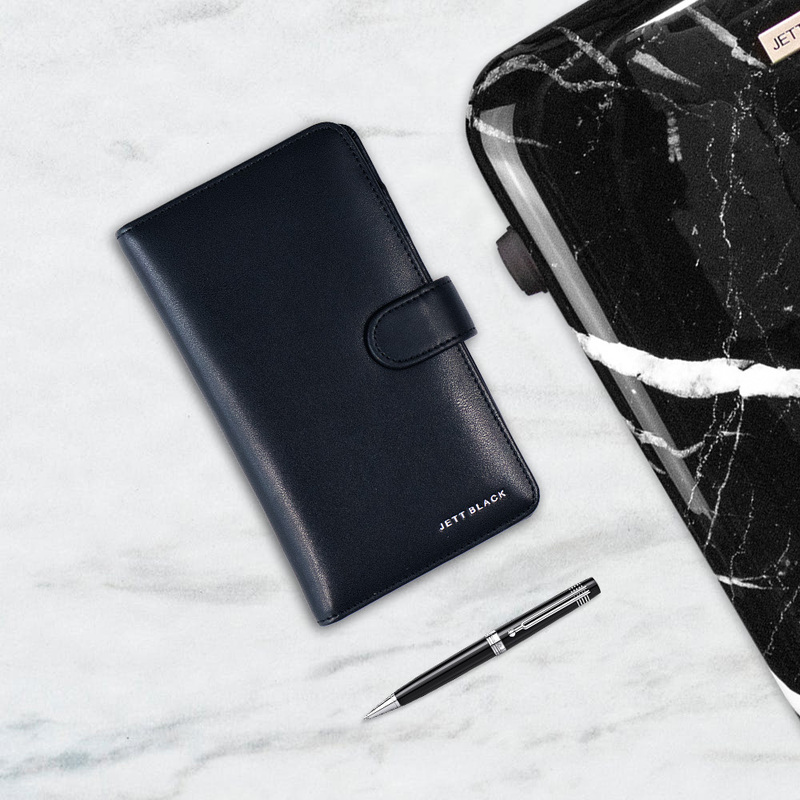 Store your passport, plane tickets, airport passes and credit cards in the allocated slots to have them in order and ready to pull out when needed. 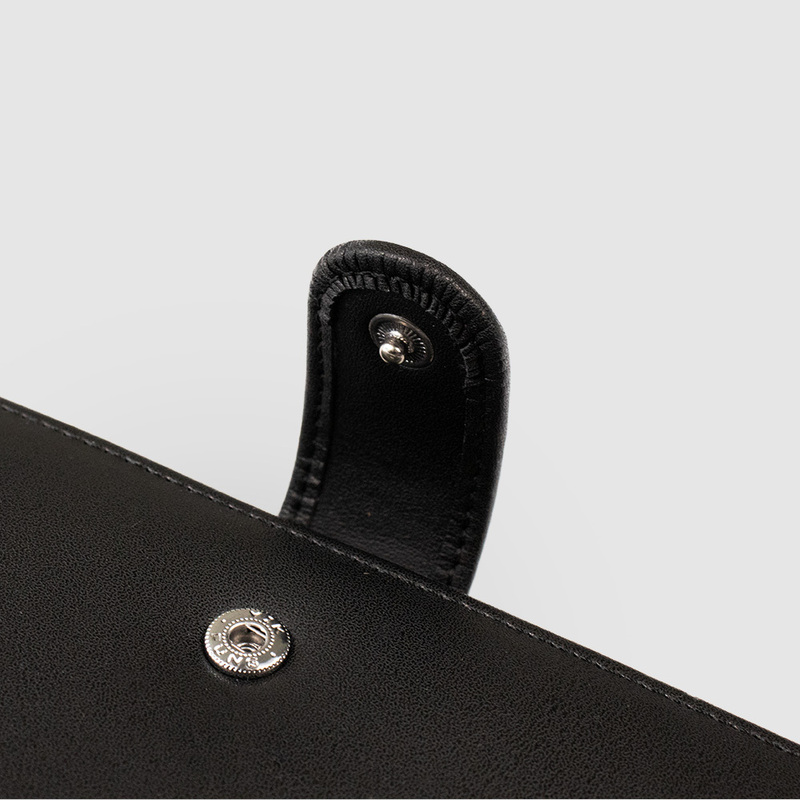 Featuring 100% smooth genuine leather exterior with smooth leather lining interior and stud close feature to keep everything safe and secure. 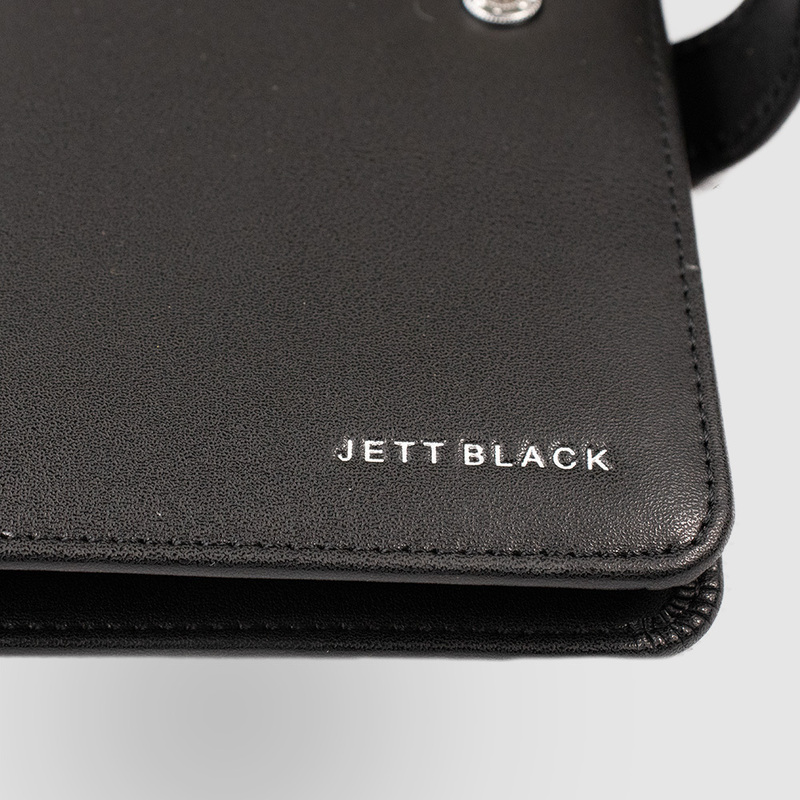 Finished off perfectly with silver embossed Jett Black signature on the front and inside. 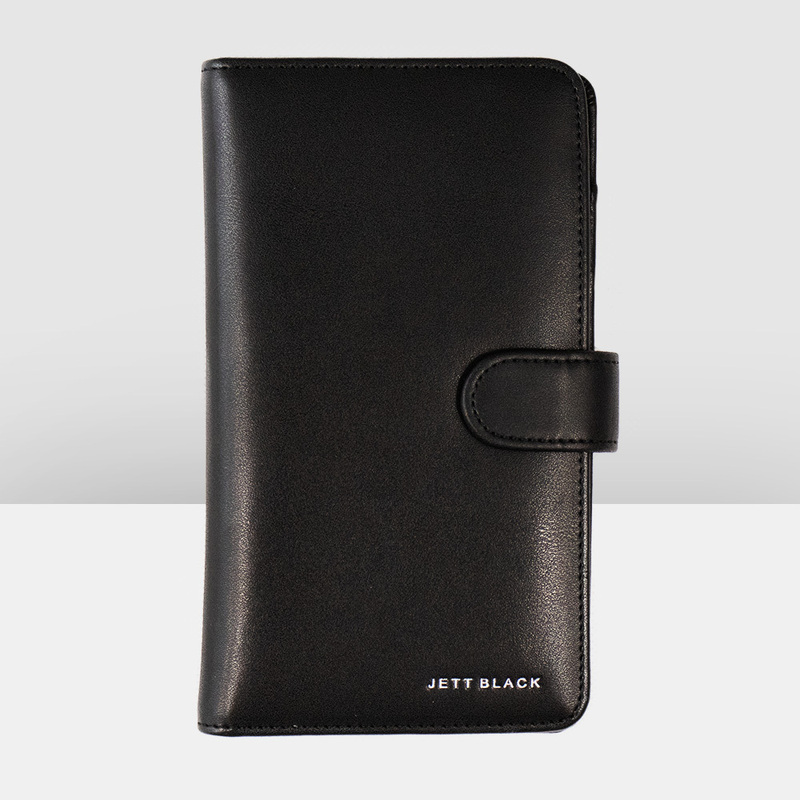 Our super popular travel wallet is one of our best-sellers for the frequent traveller or corporate gift for taking care of business.